Love the look of a Southern front porch? 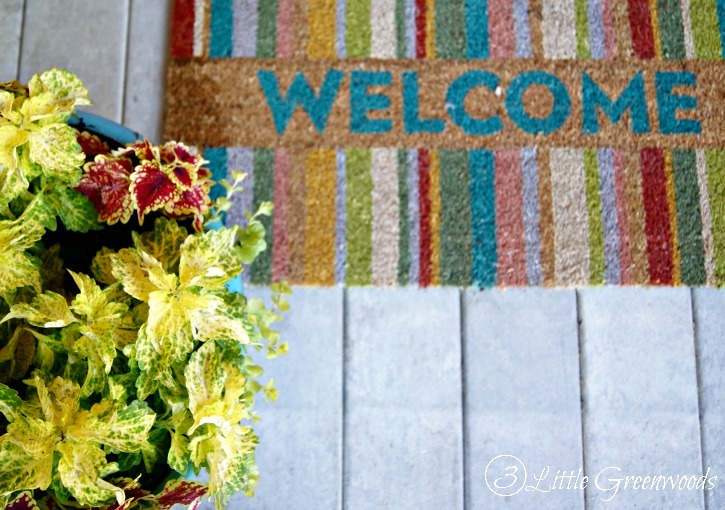 Refresh your Home with Front Porch Decorating Ideas and inspiration all on a budget. 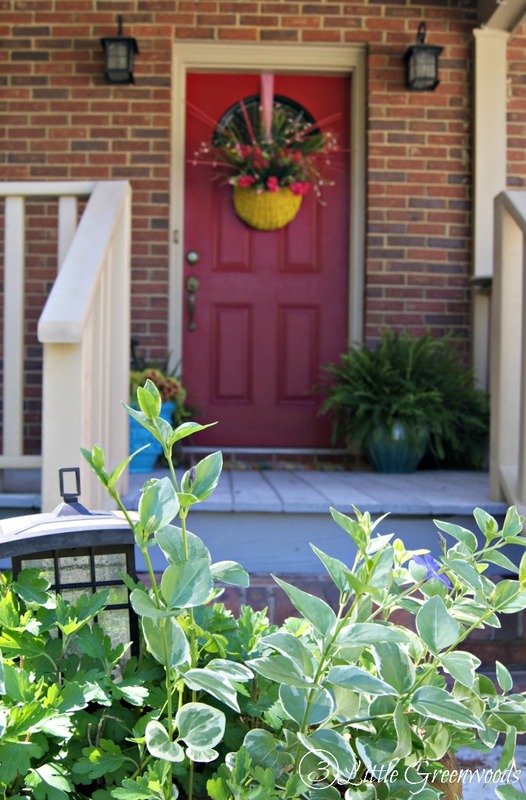 From choosing the best plants to easy DIY porch projects follow these tips to style the front porch you’ve always wanted! 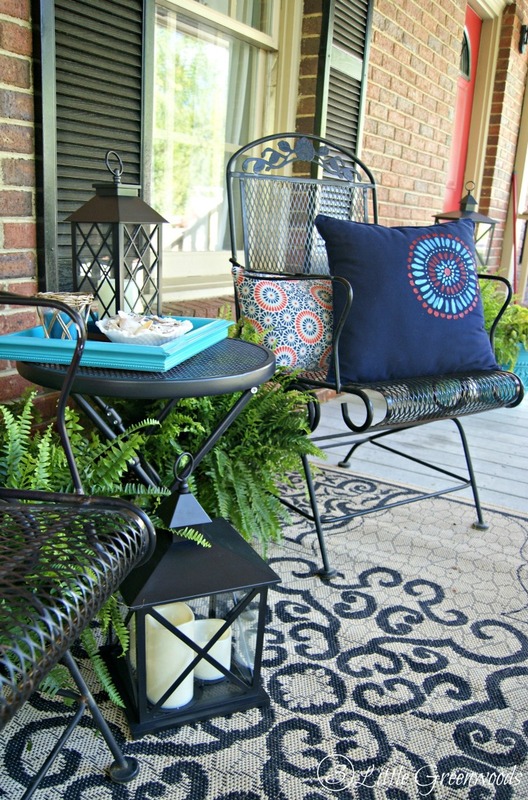 With summer right around the corner I really wanted to focus on refreshing our Southern front porch. 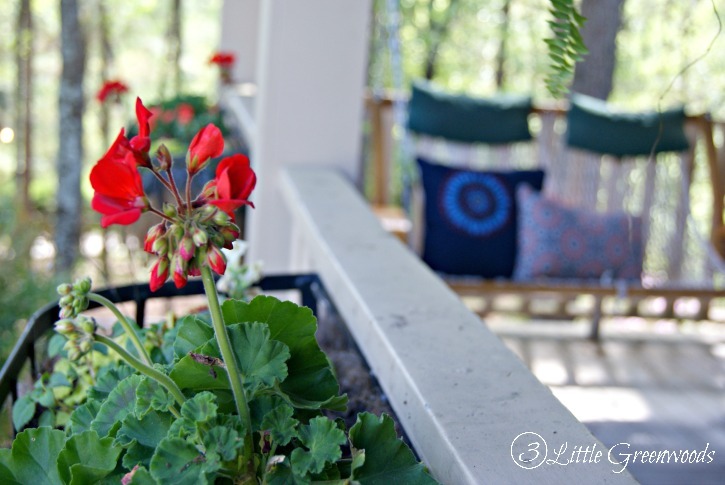 It’s one of the main reasons we fell in love with our house and I want to make sure it is ready for lots of front porch sitting with our family and friends. 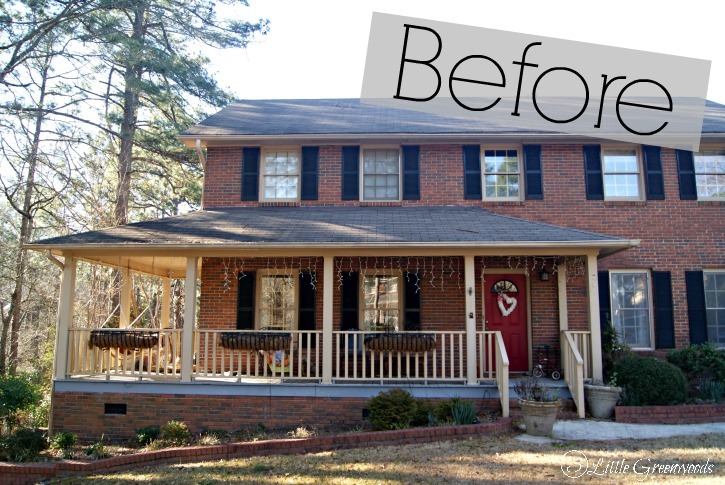 Let’s go back to the beginning to see where this front porch makeover started. This was how the porch looked in March. Yes, those are Christmas lights still hanging and a Valentine wreath on the front door. 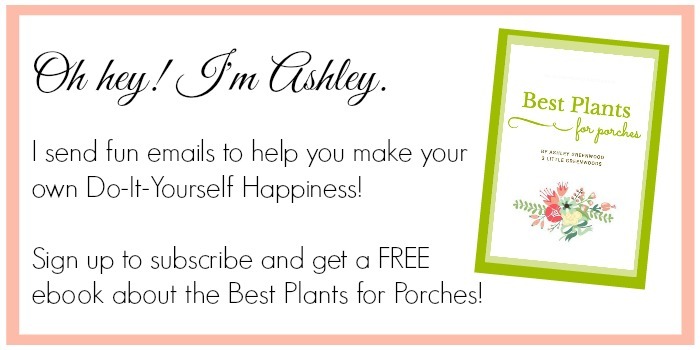 I shared all the awful pictures and a front porch decorating ideas checklist last week. 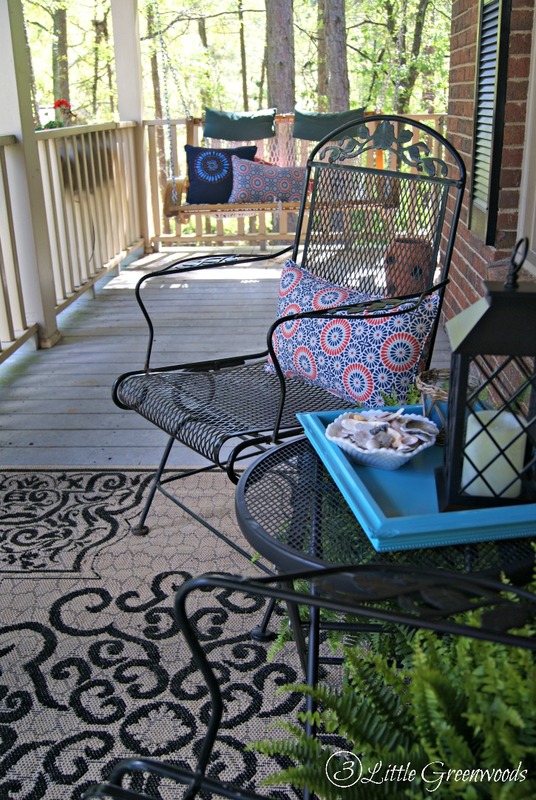 Creating the decorating checklist was a great beginning to the porch makeover. I jotted down exactly what I wanted and my total budget for the project then headed to our local discount store a shopping spree! 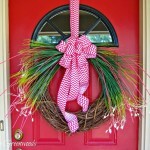 My fabulous red front door is the first thing guests see when they arrive at our home. It got special treatment with a large black lantern, the best plants for a front porch, and an upcycled thrift store wreath. Bet you noticed that bright turquoise flower pot. 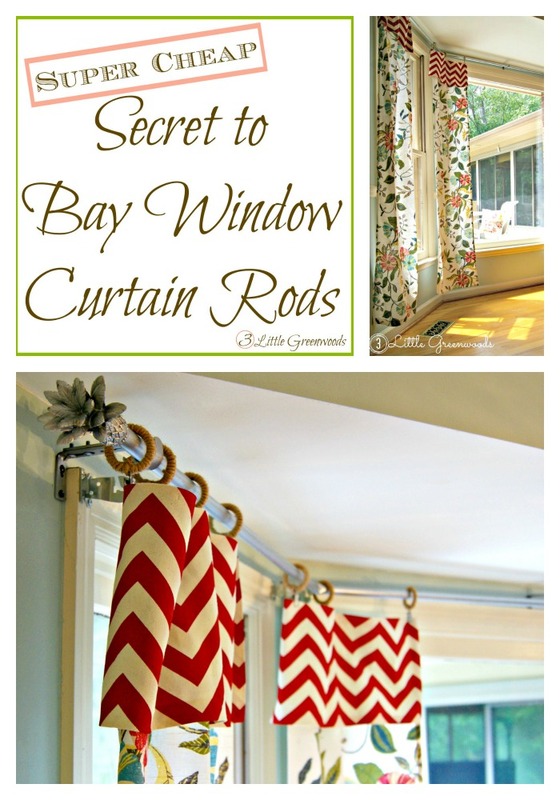 It’s another DIY porch project I can’t wait to share with you soon! A new rug helps to define the conversation area. 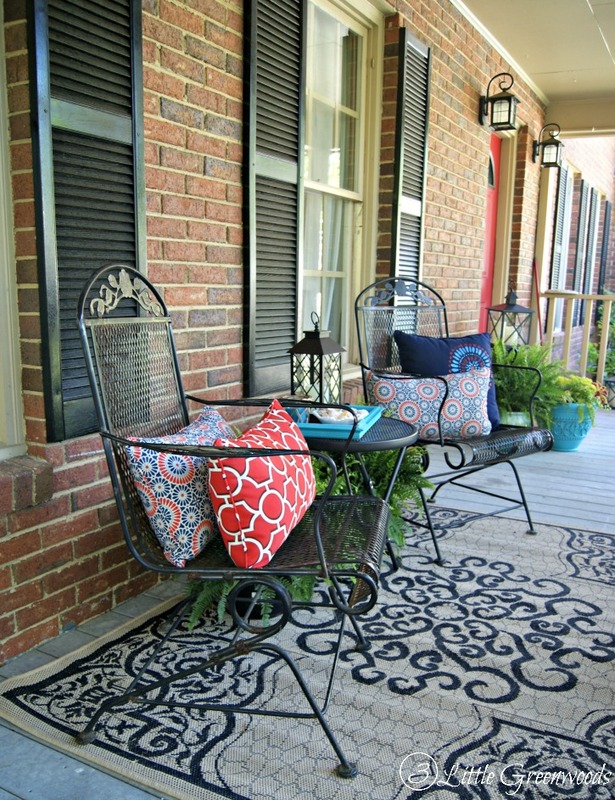 Along with a small table, patterned pillows, and an upcycled outdoor tray it is a great place for chit chatting with neighbors. 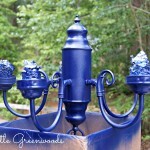 It’s also a great spot to tuck in ferns and another large lantern from Big Lots. Oh! Do you see the navy pillow with the handpainted design? That was a Craft my Stash project. There’s a great how-to video in the works. Make sure you follow along through email so you don’t miss it! My favorite spot is at the end of the porch. It’s a swing where I can tuck in with a good book or swing with one of my children. There’s been lots of sweet secrets shared there. 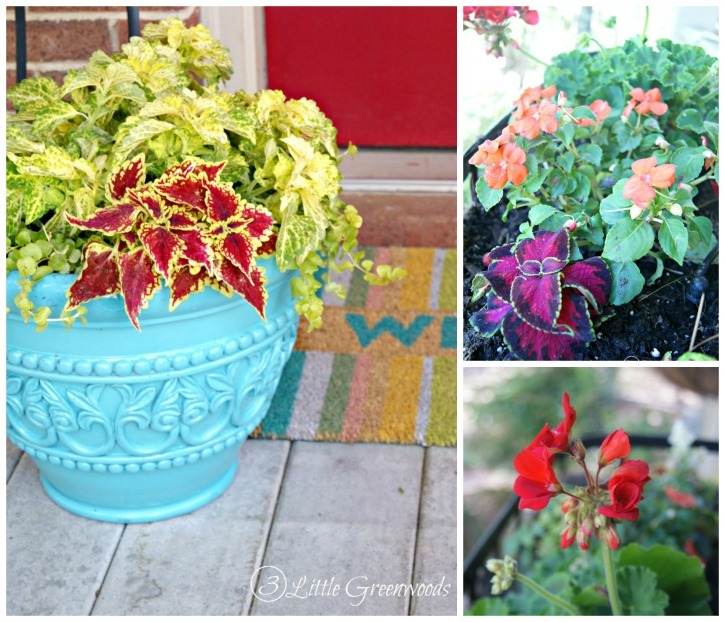 The last item to mark off my front porch decorating ideas checklist are the colorful plants for our front porch. 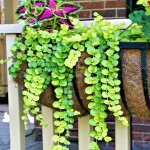 The large metal planters hanging from the porch are so fun to fill with the best plants for our Southern climate. This spring visit your local Big Lots for front porch decorating ideas and outdoor living inspiration! 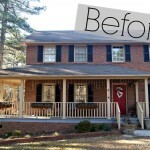 Our front porch makeover was simple thanks to all the awesome, budget friendly products I found. Love the look of a Southern front porch? 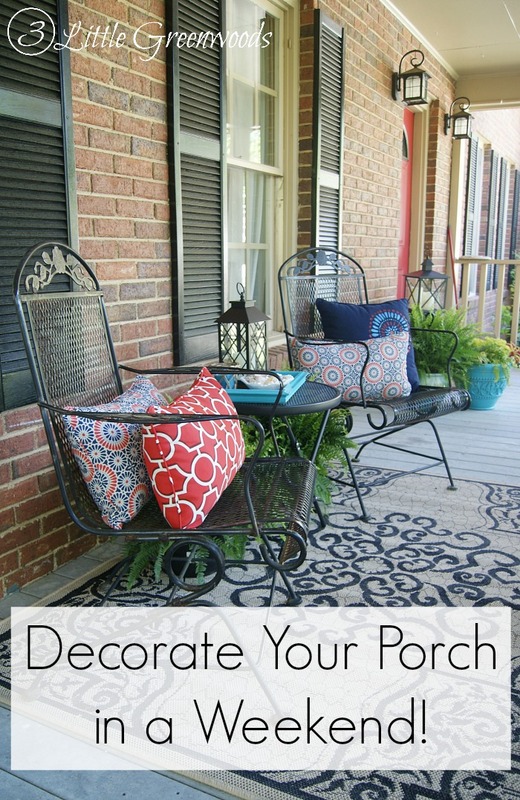 I hope you have been inspired to decorate porches with these front porch ideas. 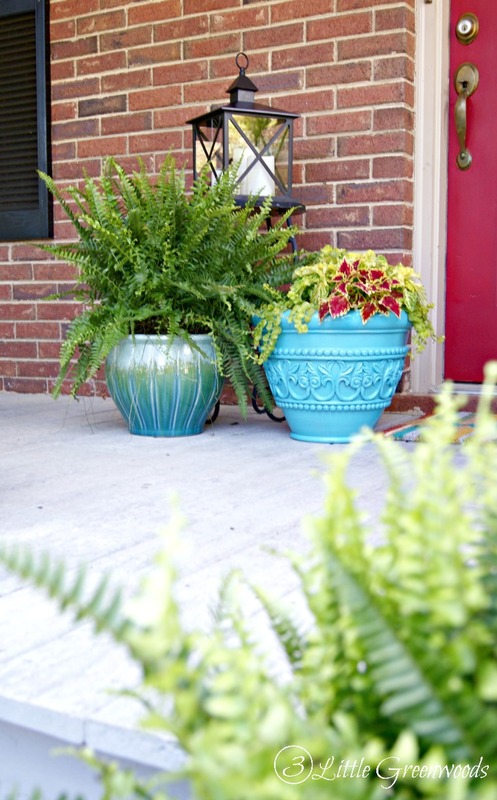 From choosing the best plants to easy DIY porch projects follow these tips to style the front porch you’ve always wanted! 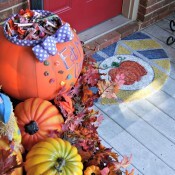 Looking for more Front Porch Decorating Ideas? You are going to love these! I love your porch re-do, simple, yet elegant. Thank you for your service to us out here. Sometimes, a lantern, or a plant can send us off to so much inspiration. Thank you for “being you”. Aww! Thanks so much, Karen. 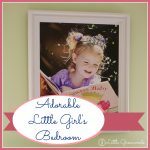 I appreciate you following along with my little blog! 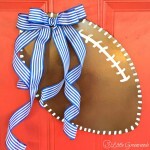 Your porch is amazing!!!! A wrap around porch would be a dream come true! 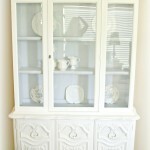 Love what you did to make it over for the warmer seasons! Happy porch parties! Just beautiful! 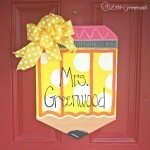 Love the red front door & your porch swing-so inviting! 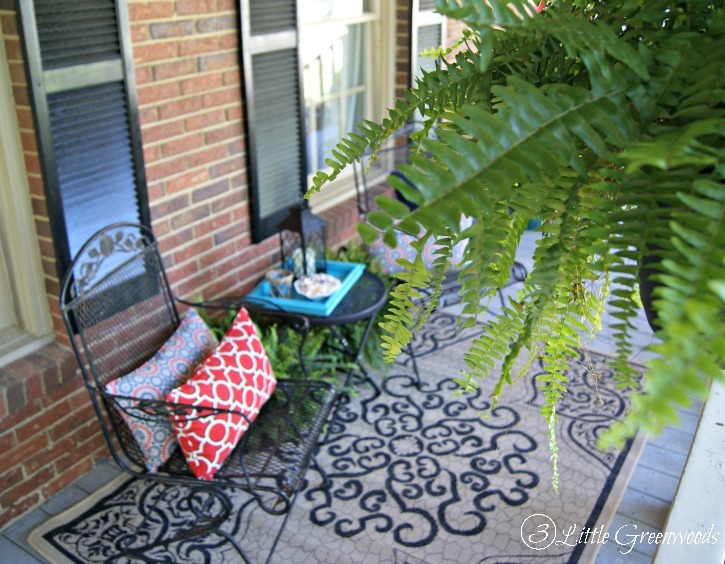 what a great front porch – love what you did with the space!! Looks lovely! I really like the colours you chose. I love the pillows! Makes me want to go to Big Lots! You’ve decorated your porch wonderfully! It looks so inviting and I can really picture a chat with the neighbours there. Love the pillows, rug and lanterns as well as the colourful pots of flowers. Enjoy! Aww… thanks so much for the wonderful compliments about our front porch, Lori! 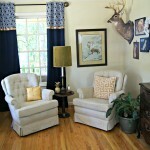 It is a great space for our family to hang out and enjoy the lazy days of summer. i love ferns! i wish i had a shady spot, b/c they bring so much color and life to your porch. enjoy sitting out there! Ferns are so awesome! I just have to keep the birds from building nests in them. Hope your day is great! Your porch is so inviting! I love the lanterns you picked out. 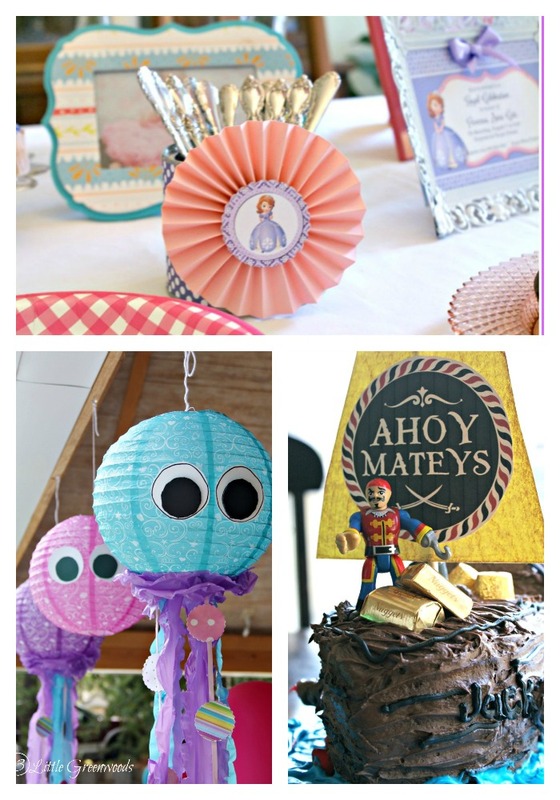 Those black lanterns are so fabulous! I love that they are battery operated and light up our porch so pretty at night. Ashley, your porch looks so welcoming! 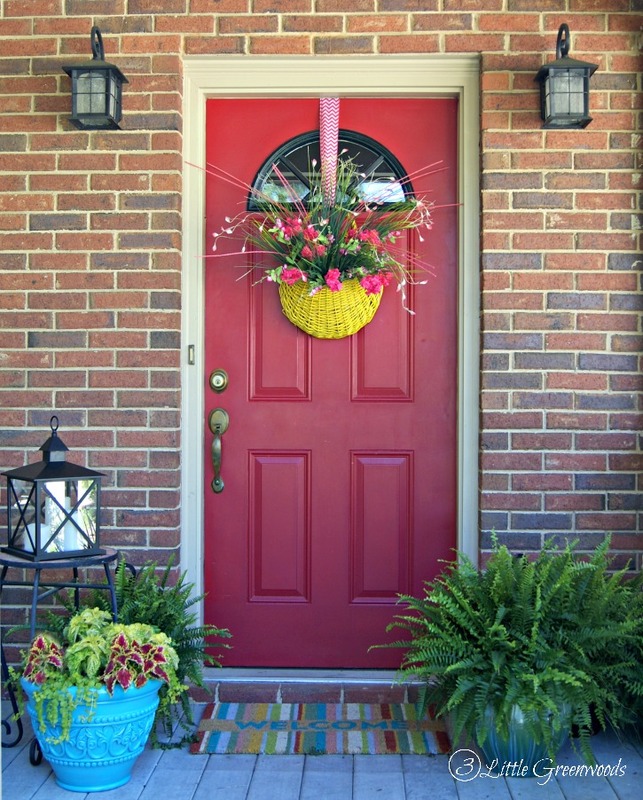 Love the greenery in the pots and the basket on your front door and your new lanterns. I picked up the same red and blue pillows at Home Goods too :). Thanks so much Tara! Our porch looks WAY better than the before. I can’t believe I let those Christmas lights stay up so long! 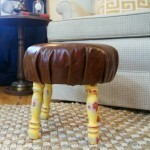 Gorgeous re-do. You really have a way with decorating. Love it!